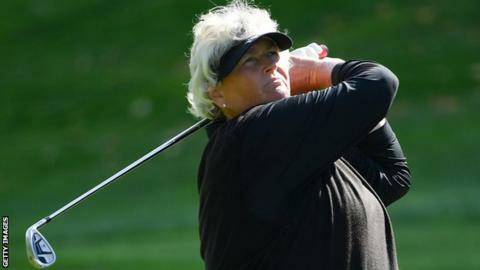 Britain’s Laura Davies won her second senior major of the year with a four-shot victory at the Senior LPGA Championship in Indiana. The 55-year-old, who won four majors on the regular LPGA Tour, began the final day of the three-round event at French Lick with a two-stroke advantage. She carded a two-under 70 for an eight-under total, having won the US Senior Women’s Open by 10 shots in July. Fellow Englishwoman Trish Johnson finished sixth. Only four players finished with an under par total at the Pete Dye course, with Davies the only player to shoot below par for all three rounds. She finished in style at the 500-yard 18th by rolling in a six-foot putt for her fourth birdie of the day.